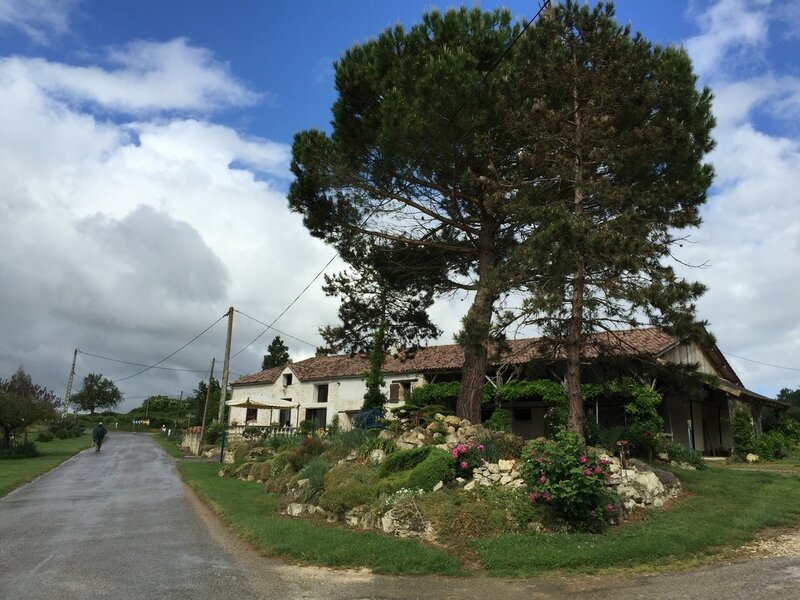 From May 29 to June 10 2017, we walked this section of Le Chemin de St. Jacques. It is reputed to be this most rigorous and most beautiful section of the whole Camino. We agree that it is the most challenging, although we did save it for last so our age may influence our perception. We would be hard-pressed to name one "most beautiful" section. Nevertheless, it is wonderfully pretty. In 2008, from May 14 to 28, we walked about 100 miles of the Via Podensis, the Le Puy Route in France. We flew to Toulouse by way of Paris. Then we took a train to Figeac. We knew little about the Camino when we were planning the trip and decided where we would walk based on the fact that Peg wanted to practice her French and Russ wanted to walk in Spain. Our compromise was to do some of each. 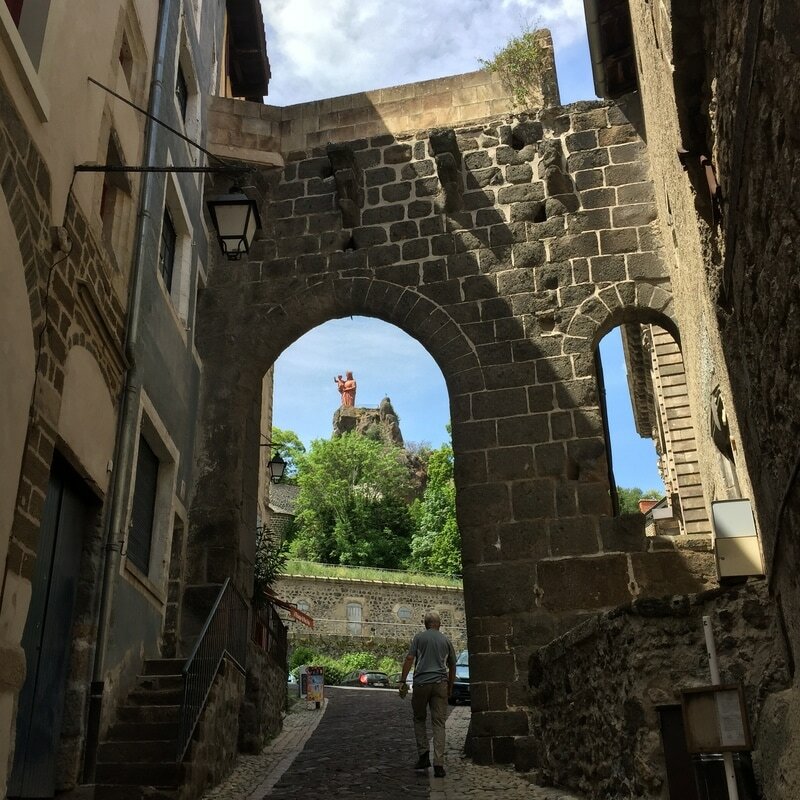 We picked Figeac as a starting point in France because it was easier to get to than Le Puy, or so we thought at the time. In 2015, we started in Moissac where we had ended in 2008, and walked the rest of the Le Puy route. In May and June, we returned to the gite where we had stayed in Moissac in 2008. The then-baby was a kid now. We walked, with some taxi stints to keep our timing in line, all the way to St. Jean, up and over the Pyrenees through Orisson, and on to Pamplona. From there we flew to Ireland and met up with Pam and James for a week in Doolin before returning home. Tuesday and Wednesday -- Mud and a Bit Lost!